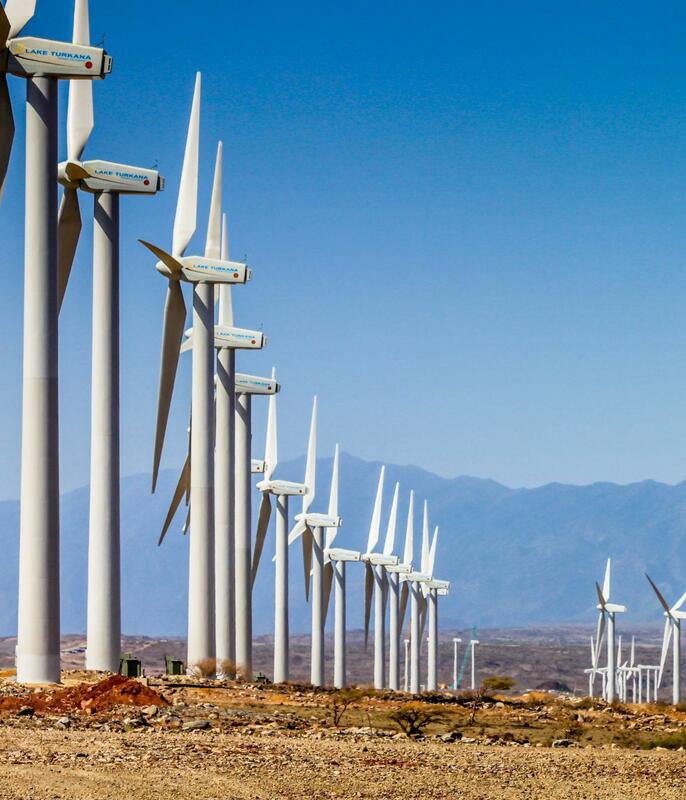 Upon its completion, Lake Turkana Wind Power with a total capacity of 310 megawatts is the largest wind park on the Africa continent and the biggest single private sector investment in Kenya’s history. Finnfund invested in Lake Turkana Wind Power in 2013. The objective of the project is to provide reliable and low-cost energy to the Kenyan population, LTWP is estimated to increase Kenya’s electricity generation capacity by 13% and reduce the need for expensive and polluting thermal (fossil fuel) plants. Investments in renewable energy are key for three Sustainable Development Goals: Climate change mitigation (Goal 13), increased access to affordable and clean energy (Goal 7), and economic development and job creation. This study addresses the socio-economic impacts of the construction of the LTWP and considers estimated second order effects on energy supply and costs in Kenya. Rehabilitation of 208 km of rural road between Loiyangalani and Laisamis that reduced the transport time from 1-2 days to 4 hours, increased passenger transport by nine times and freight transport three times and reduced the price of transport between 16 and 37%. Increased traffic and lower transport prices have led to 20-30% price decrease for certain foods at local market, and three times increase in incomes for local fishermen. LTWP and sub-contractors provided approximately 1 800–1 900 jobs for local people during construction. The impact of the salaries paid to the local communities was beyond the scope of the study. In addition, there is anecdotal evidence in increased access and quality of health and education facilities. When connected to the national grid, the study estimates that LTWP will reduce outages by 10–15% and 13% decrease in the cost of electricity. The study was conducted in 2017 and 2018 and included an extensive document review with reference studies from existing literature and national and county level statistics, field visit in 2017 and a traffic survey in 2018 with over 100 interviews.